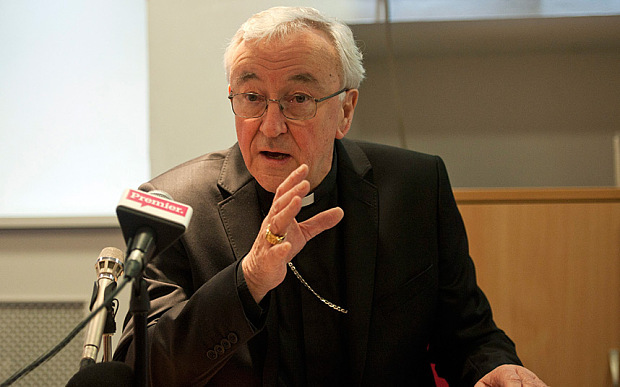 Is Cardinal Nichols “Queering the Church”? However, it became very obvious, very quickly, that Cardinal Nichols had no intention of stopping the Masses, he simply moved the venue. What about dealing with the Pastoral issue? Surely he did that? Well, the Masses are followed by a “social” organised by LGBT Catholics Westminster Pastoral Council. Their lack of fidelity to Christ and His Church is written all over their Facebook Page here. These are people who self-identify as LGBT, who think the Church is wrong in what it teaches, and who want to change the Church to suit their own sexual predilection. The Catholic Herald cover the story of the Mass here. Of course, the Cardinal’s spokesman is very careful to articulate that the Mass was not specifically “for gay Catholics”, but for all Farm Street parishioners. Regardless, the most revealing comments are made by the people the Mass was aimed at. Terence Weldon runs the blog Queering the Church, the title of which disturbs me greatly in itself and speaks to its agenda. via Cardinal Nichols is Queering the Church.